The first and foremost priority for any surgeon dealing with bleeding is to control the situation, convey calm focus to the team, and direct all energy toward working the problem. Remember that you are a SURGEON! 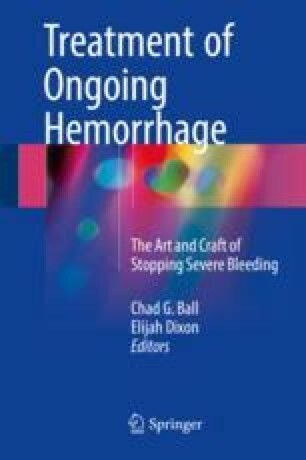 You have trained for years to be an expert in the control of bleeding. There is no one more qualified than you in the room to deal with bleeding! Few careers involve the depth and length of training that we get in surgery; consequently the surgeon should be expert at controlling his environment to achieve his goal. Loss of control, decompensation of demeanor, getting angry, yelling, and generally creating an environment of anxiety for the other team members all represent failures by the surgeon to use the heightened energy that is often generated in the setting of poorly controlled bleeding toward resolution and control of the surgical bleeding. You are a highly trained professional at the top of your game and the top of the healthcare team hierarchy – YOU ARE A SURGEON. ACT LIKE ONE!